H.E. 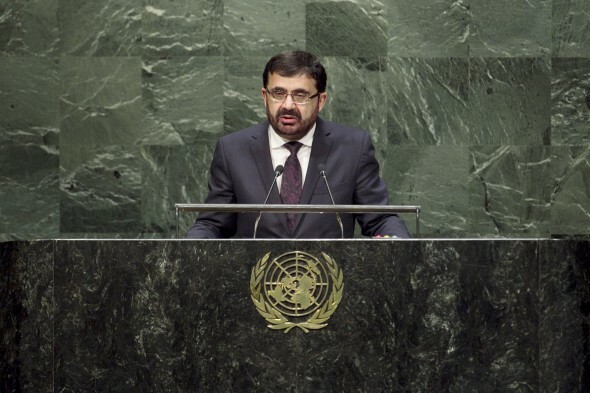 Zarar Ahmad Osmani, Minister for Foreign Affairs of Afghanistan, addresses the general debate of the sixty-ninth session of the General Assembly. It gives me great pleasure to express my sincere congratulations on your well-deserved election as president of the sixty-ninth session of the United Nations General Assembly. We are confident that your wisdom and experience well ensure a constructive and fruitful deliberation on the very important and vital issues before this august Assembly. I would like to assure you of the full cooperation of my delegation towards this end. I may also express my deep appreciation to your predecessor and my gratitude to the secretary General of the United Nations, H.E. Ban Ki-Moon, for his competent and excellent leadership of the organization. I am delighted to report to this assembly that Afghanistan has achieved a significant milestone with the successful conclusion of the presidential election including the important task of recounting the votes. The new president, Dr. Mohammad Ashraf Ghani Ahmadzi, will be sworn in on 29 September. Afghanistan is witnessing transfer of power from one elected administration to the next. While Afghanistan faces marked challenges, we are confident that the new government, which enjoys the full backing of a vast majority of Afghans, will strive to bring about political, security and socioeconomic prosperity to Afghanistan and by extension to the region and beyond. It was over a decade ago when many countries of the world joined the Afghan people in their struggle for peace and fought against the forces of extremism and terrorism. In this regard, we have collectively achieved tangible results, but unfortunately the menace of terrorism and extremism continue to threaten the security, socio-economic development and peace not only in Afghanistan but also in the region. There is an urgent need for a comprehensive response to the threats from terrorism and extremism at regional and international levels. Today, Afghanistan has credible political institutions, and elected parliament, a constitution and elected provincial council, supported by the brave Afghan National Security Forces. 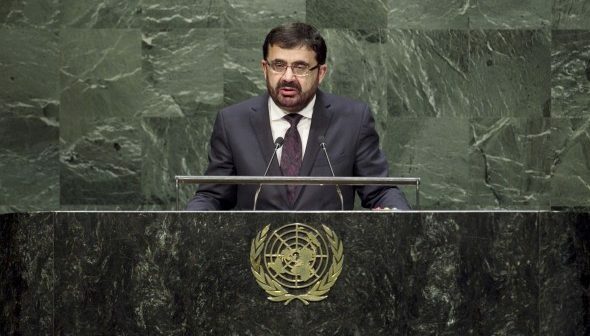 The people of Afghanistan have witnessed many positive achievements in past decade including in the fields of socioeconomic development, education – especially education for our girls – health, communications and information technology, promotion and protection of humans rights including particularly women’s rights. Afghanistan has one of the most dynamic media scenes in the region, which is propelled by the freedom of expression that the Afghan people enjoyed for over a decade. We should underscore the pioneering spirit of our youth who are behind much of the innovativeness and diversity of thought in academia and private sector. 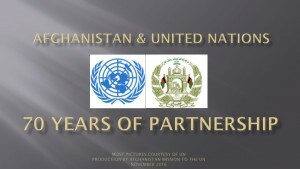 The Afghan people appreciate and are thankful to the international community for their vital support they have given to built security, peace and prosperity in Afghanistan, we are looking forward to a continued mutual cooperation with the international community to protect our achievements and ensure the sustainability of a strong partnership. The transfer of security responsibilities from International forces to the Afghan National Security Forces for the whole of Afghanistan that was launched in the summer of 2011 will be achieved by the end of 2014. As we speak, Afghan forces are providing security independently across the country despite increasing acts of terrorism inside Afghanistan with support from terrorists from beyond our borders. The growing levels of violent extremism and alarming developments in the Middle East and other parts of the world make international support to NATO mission in Afghanistan even more imperative. Parallel to our ongoing efforts to enhance the capacity and capabilities of our National Security forces, the Afghan Government is also pursuing a dialogue for achieving peace through political means and reconciliation. 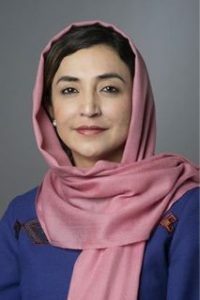 We have put in place clear conditions to this process to be accepted by the Afghan people: for instance we demand renunciations of violence and respect for Afghanistan’s Constitution as it guarantees full and equal rights to Afghan men and women, and is the only tool for preservation of our collective achievements of the past decade. Afghanistan strongly believes in comprehensive, long term, friendly and good-neighborly relations between Pakistan and Afghanistan in the fight against terrorism and strengthening of peace and stability between two nations and in the region. At the same time, we would like to express our serious concern over the rocket attacks by Pakistani forces into Afghanistan’s soil. Continuation of such attacks is unacceptable for Afghanistan. We hope that the government of Pakistan, considering our common interests in ensuring peace and stability, put an end to any kind of acts that can endanger the outlook of good neighborly relations and to protect cooperation and trust between our two nations. Second, Afghanistan is estimated to hold trillions of dollars of natural resources including minerals and hydrocarbons, representing a guaranteed source of wealth and income for generations to come. We already have several state-owned and private companies from China, India, the UK, Canada, Turkey, the UAE, Azerbaijan and other countries in addition to Afghan companies expressing a keen interest in investing billions of dollars. Third, Afghanistan is now on the eve of transformation decade (2015-2024), which is a multi-dimensional process in security, political and economic fronts. Therefore, the 2012 Tokyo and Chicago Conferences’ pledges will maintain the Afghan government overall socioeconomic efforts. Afghanistan critically needs continuation of this generous support from its international partners over the next few years. Based on Afghanistan’s Millennium Development Goals report published in late 2013, progress in achieving most of the MDG’s targets in particular related to the health and universal primary education is commendable. Despite of starting in 2005, Afghanistan is committed to achieve most of the MDGs by 2020. Meanwhile, national consultation is underway to synchronize efforts towards achieving MDGs off track targets considering the outcome of the Open Working Group on Sustainable Development Goals. As we embark on the important task of crafting the new development agenda for post-2015 at this session, I am happy to inform you that it also coincides with Afghanistan’s transformation decade 2015-2025. Both are top priorities for Afghanistan’s national development agenda. We appreciate the work of the United Nations in recognizing the need to reduce the number of the Sustainable Development Goals to an affordable, achievable and realistic number in the post-2015 development agenda. We are of the view that this agenda should leave no one behind, it should be adaptable to both global and local settings and it should have sustainable development and poverty eradication at its center. Our region is blessed with vast resources and opportunities for economic cooperation. An expanded level of regional cooperation can serve both economic and security purposes. The Afghan Government’s regional economic cooperation strategic goal is to establish Regional Economic growth and resource corridors that connect – the Silk Roads through Afghanistan – the people of South and Central Asia, the Middle East and their key economic activities, including agriculture, light manufacturing, and mineral extraction, with essential trade, transit, and energy enablers. Regional cooperation is one of our priorities. The Heart of Asia- Istanbul process is a significant step towards enhancing stability and regional cooperation between Afghanistan and 12 participating countries, with the support of 12 other country partners and 9 international organizations. This year’s General Assembly takes place at a time when the UN has seen a number of conflicts continue, while new ones have taken shape. My government fully supports the inalienable right of the Palestinian people and the establishment of the independent Palestinian State with Jerusalem as its capital. We strongly condemn illegal actions and violations by the occupying power against the Palestinians as a whole, especially the ongoing disproportionate and indiscriminate attacks on the innocent Palestinian civilians. We express our grief for the killing of innocent civilians in Syria and support a political resolution, reached through a broad based national dialogue that meets the aspiration of all the Syrians. With the worsening security situation in IRAQ and Libya, we strongly condemn the actions of the ISIS and its brutality and call for joint efforts to defeat this evil. In this context, I call upon the United Nations to take appropriated actions within its mandate to uphold international peace and security. My delegation believes that there is urgent need for the international community to pay attention to the resolution of the crisis in Ukraine, while taking into account the situation of civilians. In the end, let me assure you that Afghanistan remains committed to its national and international responsibilities and obligations. We reaffirm our strong will for further strengthening of democracy, good governance including, further strengthening rule of law, accountability and transparency, promotion and protection of human rights, particularly woman rights; justice reforms, and the fight against terrorism, narcotic drugs, corruption and eradication of poverty.